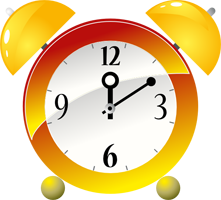 For talking about a certain number of minutes before or after the hour, we use the prepositions yfir or í.
Klukkan er tíu mínútur gengin í þrjú. – It is 2:10. Klukkuna vantar tíu mínútur í þrjú. – It is 2:50. Here we see the impersonal expression with vantar being applied to the time, literally the clock needs/lacks/is missing 10 minutes to get to 3.